The Norwegian Parliament recently approved a trial to include a one-hour a week chess class in schools for third and fourth grade students. 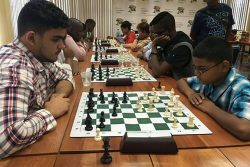 The initiative was presented and promoted by Norway’s current world chess champion Magnus Carlsen and former world champion Garry Kasparov. Students, teachers and elected political officials pose for a photograph beside enlarged chess pieces and chess board in 2013 in Newham, London. 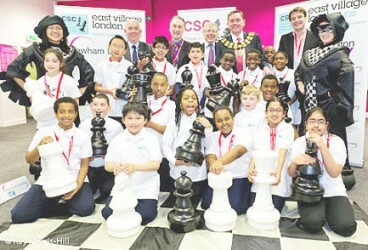 Chess was delivered to 64 schools in Newham and 20,000 children, who learnt to play the world’s most enduring game. The Norwegian Chess Federation intends to launch a trial where third and fourth graders get to have one hour of chess at school each week. Norwegian world chess champion Magnus Carlsen lent a helping hand to launch his country’s Chess in Schools programme recently. He conducted a simultaneous chess exhibition for students and their parents to give stimulus to the activity. 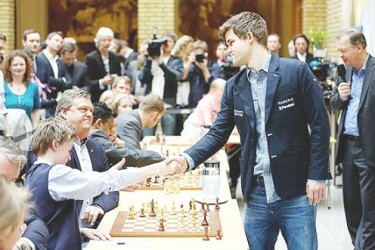 In the photo Carlsen accepts a girl’s resignation. 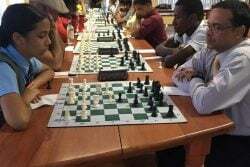 In 2013, the UK registered charity, Chess in Schools and Communities, announced a project to deliver chess to all 64 schools in Newham and teach 20,000 students how to play the game. Worldwide, chess is a popular game. It is treated with seriousness in Eastern Europe. In 2011, Armenia made chess a required subject for all children over the age of six. 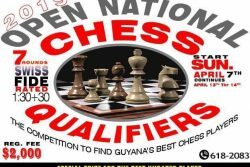 Eventually, the country produced the number two chess player in the world. The game is closely related to the improvement of cognitive abilities of the child. It also assists with coping and problem-solving capacities. In a nutshell, the benefits for improved thinking are numerous.